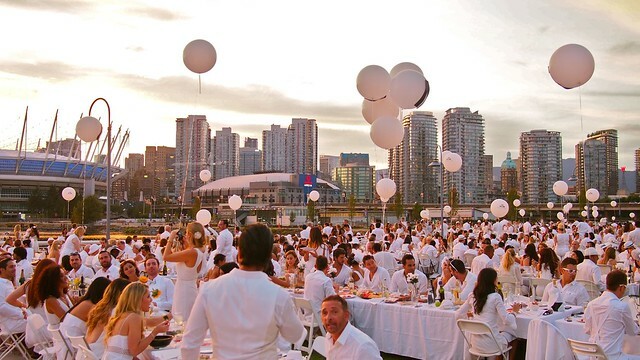 2nd annual Dîner en Blanc Vancouver secret dinner party at Science World in False Creek on August 22, 2013. 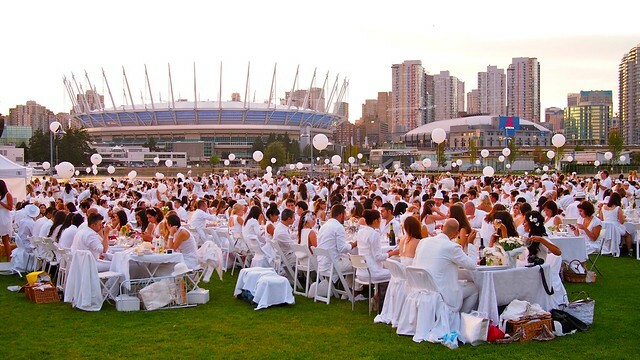 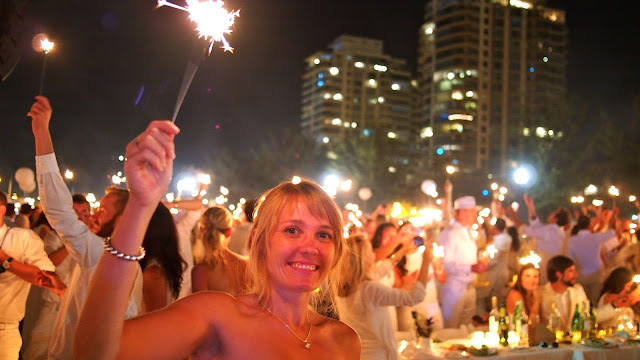 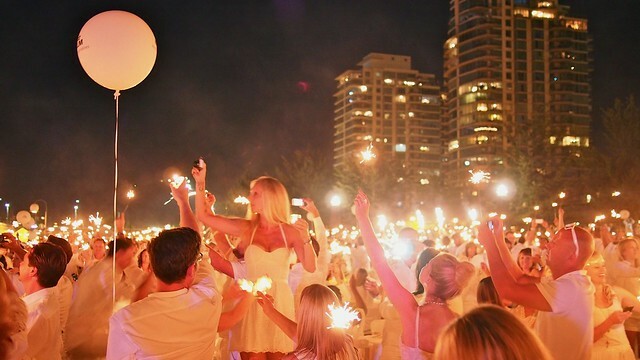 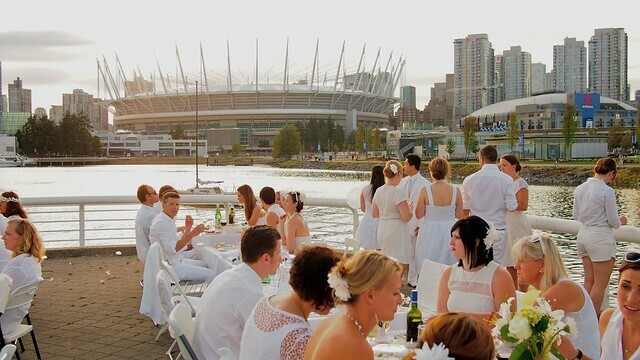 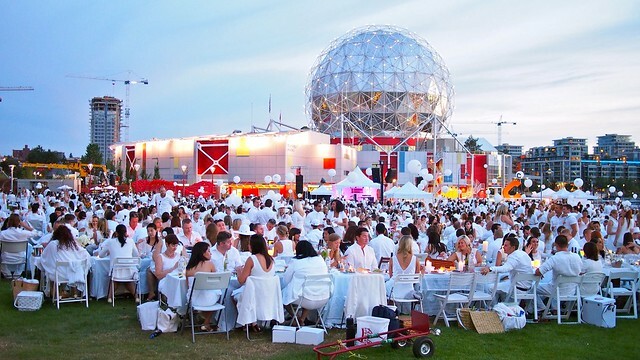 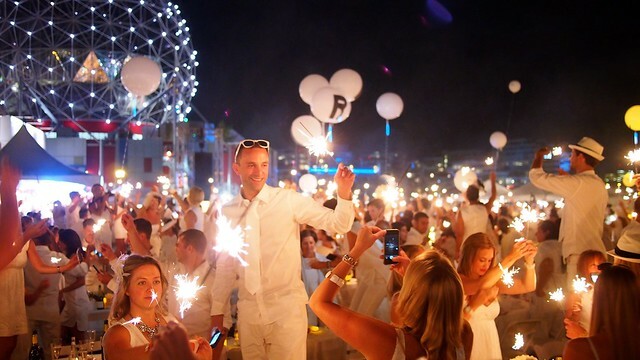 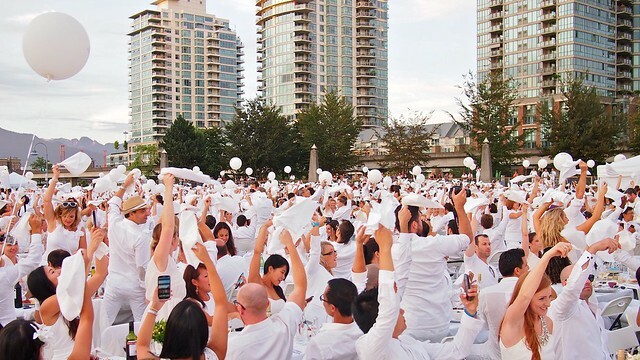 Vancouver's second annual international flash mob style secret dining event, originating from the mean streets of Paris and known as "Dîner en Blanc", with its 2,500 guests (double from last year's inaugural event at Jack Poole Plaza) kicked off its festivities in one massive white party dining experience. 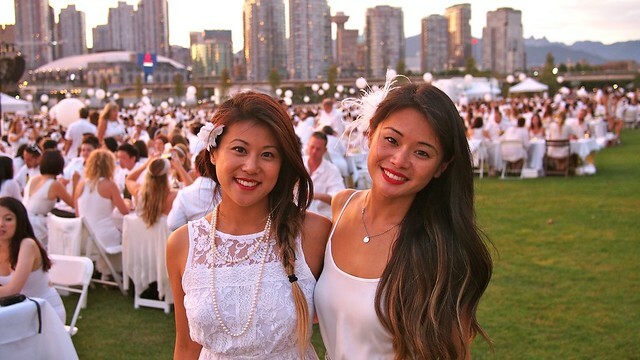 Here's my visual story and highlight reel as told through photos. 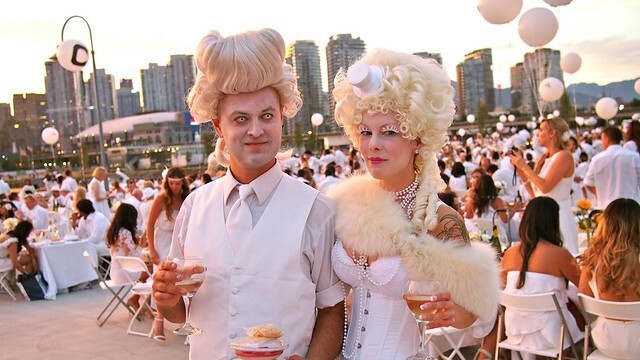 DJ Pandemonium and Evilyn13 as zombie like French aristocrats. 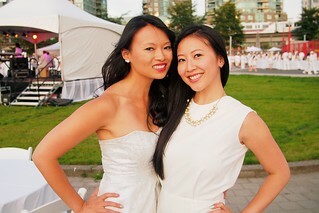 The Yau sisters, Jen and April. 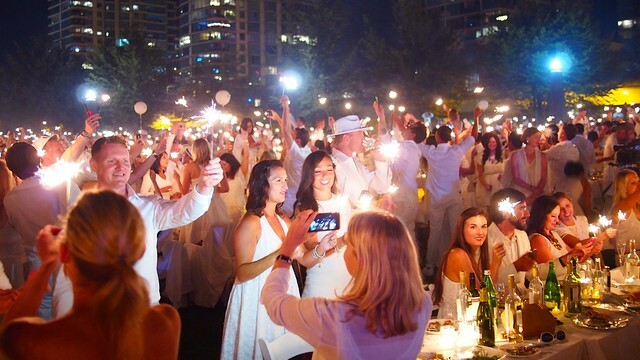 Posing off with May Pang, Teresa Lee, Dennis and I. 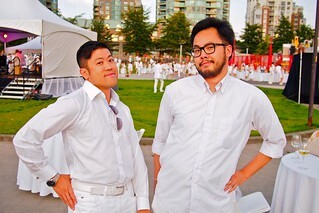 Who did it better? 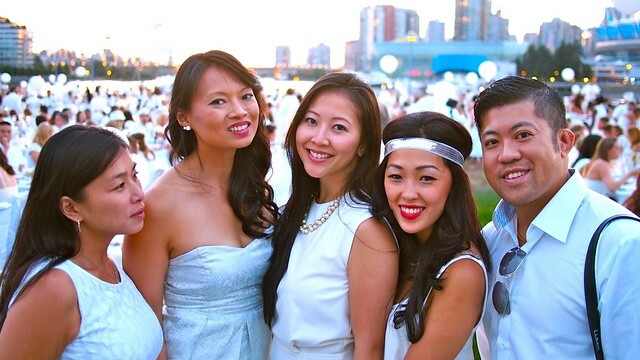 My dining crew Grace Cheung, Teresa, May, Crystal Kwon, and Dennis.